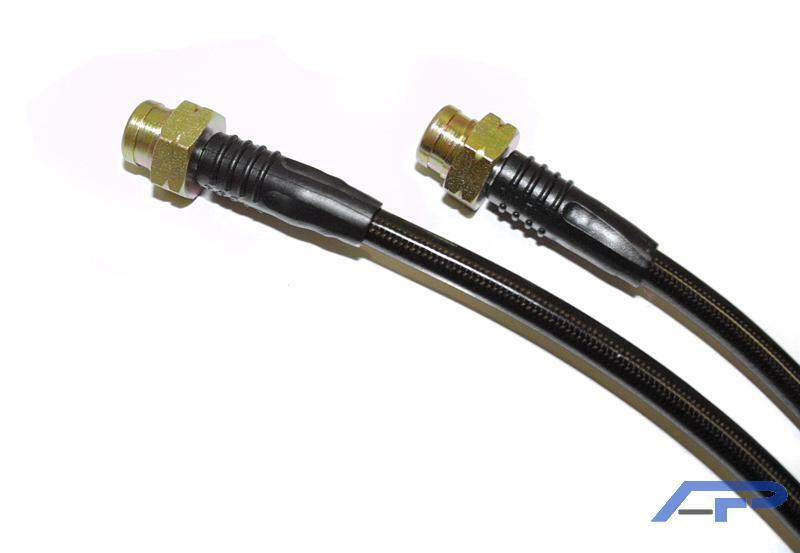 Agency Power Steel Braided Brake Lines are Teflon lined with a Steel Braided wrap covered in a plastic coating for longevity. 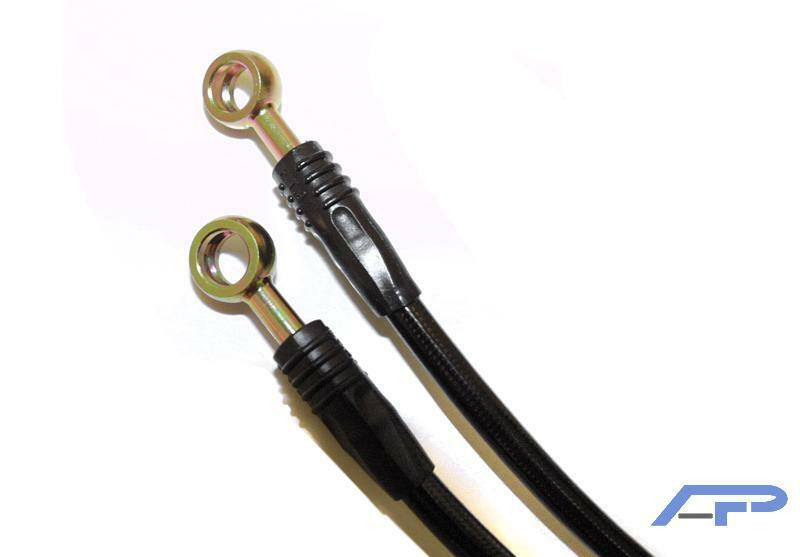 Brake Lines are DOT approved and available for many models of cars. 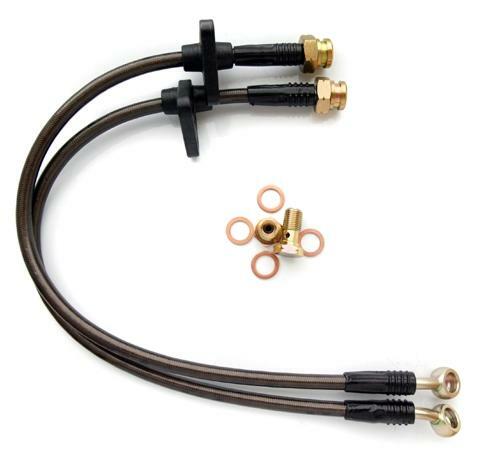 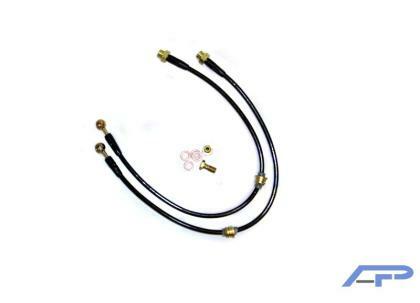 Each set of Agency Power Brake Lines are coated gray with gold fittings and are 100% bolt on.